The annual meeting of the American Association of Geographers, which was held in New Orleans in early April, was an opportunity to further my understanding of slavery. Despite my intellectual explorations into understanding slavery and its continuing impacts on life in America, I, like many, have a tough time wrapping my head around the notion that human beings were bought and sold over many decades, and treated worse than animals. In this venture, The Big Easy, as New Orleans is referred to, was far from being easy. After the United States banned transatlantic slave trading in 1808, the domestic trading and forcible relocation of human beings became even more important for the Deep South, whose cotton and sugarcane economy depended on slave labor. As in Solomon Northup's story, which was brought to life in the Oscar-winning “12 Years a Slave,” even free men were kidnapped from the north and brought to the plantations in the South. Northup was one of the more than 100,000 humans who were bought and sold in New Orleans, including in the French Quarter, which is now one of the well-recognized tourist spots for food and music. 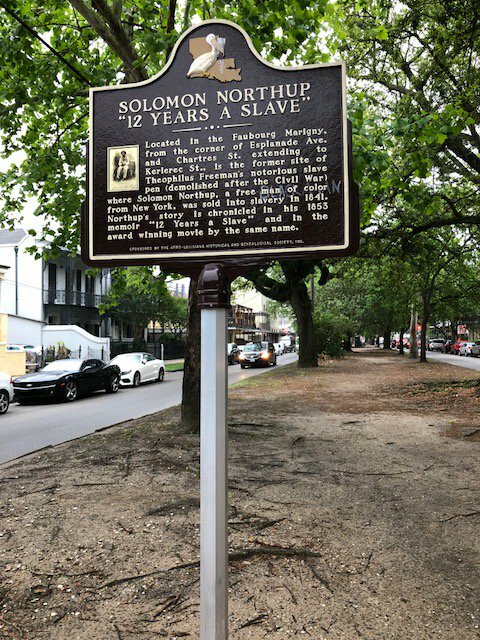 While most of the city, including the French Quarter, even now lacks public memorialization of this dark past, there is at least one plaque—at the intersection of Esplanade and Chartres—that reminds us about the very spot where Northup was sold. We as a country have never truly come to terms with the true horrors of the buying and selling of human beings and the atrocious treatment of slaves and, therefore, the racial dimensions of contemporary America. Perhaps that is also why we do not have a national museum dedicated to slavery, even though we have national museums devoted to many other aspects of American life. Thanks to the personal commitment and financial backing from a New Orleans attorney— John Cummings—the Whitney Plantation, located about 30 miles outside New Orleans, is now a museum that is focused on slavery and the lives and deaths of slaves. The plantation was started in 1752, and later became one of the most profitable sugar manufacturers and exporters, with the slave labor working in sub-human conditions in the fields. Visiting the museum, which was opened to the public in 2015, was a painful reminder of the violence and brutality of the institution of slavery. In this context, a recent report from the Southern Poverty Law Center (SPLC) should worry us all. The report notes that our schools are not dealing with the “hard history” of slavery. In its research, the SPLC found that “high school seniors struggle on even the most basic questions.” It is always tempting, of course, to speed through the awful past and to spend more time on heroes and heroic moments. 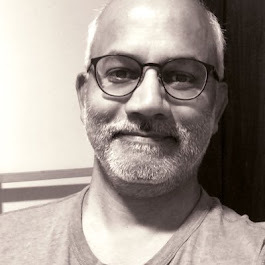 But, who we are today is not disconnected from the ugliness of the past. Here in Eugene and in Oregon, we are no exception. Behind the reputation of Oregon as a deep-blue progressive state lies the undeniable fact that not too long ago it was a crime for blacks to be merely present here. Far removed from the Deep South, and yet Oregon along with Indiana had the highest per-capita membership of its population in the Ku Klux Klan in the 1920s. A couple of years ago, I went to the Mims House in downtown Eugene, after reading about it in this newspaper. When CB and Annie Mims came to Eugene seventy years ago, they could not find housing within the city because black families were not allowed to live within the “whites only” city limits. Eventually, the Mims were able to buy property on the “other side” of the river. Now a monument of historical importance, the Mims House provided safe boarding and lodging to blacks who were denied services in town. The long list of notables who stayed there includes Louis Armstrong, who was born and raised in New Orleans. The Mims House was the only place where people like Armstrong and Ella Fitzgerald could stay when they came here to perform. The echoes of slavery and racism were heard loud and clear across the continent, even here in Eugene! As the SPLC notes, teaching and learning about slavery “requires often-difficult conversations about race and a deep understanding of American history. Learning about slavery is essential if we are ever to come to grips with the racial differences that continue to divide our nation.” This is a difficult conversation that all of us ought to be engaged in, whether it is in the Big Easy or in Eugene.